In keeping with this month’s sparkling wine focus, this week’s Wine of the Week is a brut sparkling wine from Fongaro, a winery in the Veneto. I first heard of this winery in 2010 when they participated in an event held by Vinitaly in the United States. I was struck by the wine and the grape variety, Durella, which I found unique and interesting. Fongaro was created in 1975 and has always focused on the indigenous grape Durella which hails from the Monti Lessini zone, a hilly area between Verona and Vicenza. The wines are all made using the traditional method, meaning with secondary fermentation taking place in the bottle. The grape variety ends in an “a” while the wine in an “o.” A couple of years later I was reintroduced to this grape variety by Antonio Fattori. He makes a wine which I adore called I Singhe Lessini Durello D.O.C. from 100% Durella. It is also a sparkling wine and Durella is well suited for these types of wines. Durella makes wines with a refined bouquet of citrus fruits and nuts as well as great acidity and minerality, perfect for sparkling wine. This grape variety has considerable tannins which provide great structure to these sparklers. The terroir of this area of the Veneto is rich with volcanic soils and hillsides, ideal growing conditions for the grape variety. 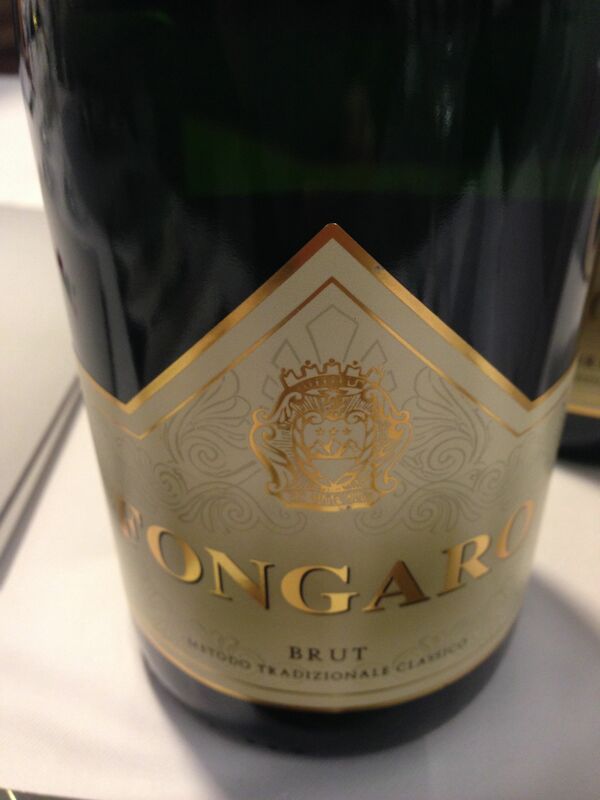 The Fongaro Brut Cuvee is made from 80%-85% Durella and the remaining 15%-20% is Incrocio Manzoni. Incrocio Manzoni is a cross between Riesling and Pinot Bianco created in the 1920s in Conegliano (Veneto) by Professor Manzoni. The wines remain on their lees for at least 24 months in the bottle before dégorgement. I was lucky enough to taste this wine recently at the Simply Italian tasting in New York at the end of October. Sadly, Durello is not widely distributed in the United States. I have tried to encourage the Consorzio to promote their wines in the States and to convince various producers that it is a market worth investing in. Thus far, I have had little luck but I do think this is a sparkler to look out for in the future.